Win a placement at BMB competition – Deadline extended till Monday. 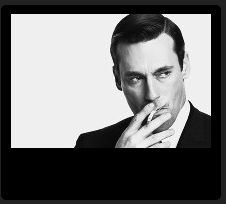 Thank you for all the Don Draper entries so far. They are very entertaining. We’ve decided to extend the deadline till Monday at 18.00 so if you’re yet to enter and fancy a placement at BMB have a think over the weekend. If you need some stimulus have a look at this. We’ll be announcing the winner of the placement mid next week. PS. The placement will be from Monday 9th September to 4th October.